Cyber Essentials is the recognised benchmark that helps organisations of all sizes against a whole range of the most common cyber-attacks. Cohort Software are pleased to have achieved this standard which now means the company approach to security and mitigation against online risks meets and exceeds the industry standard framework. 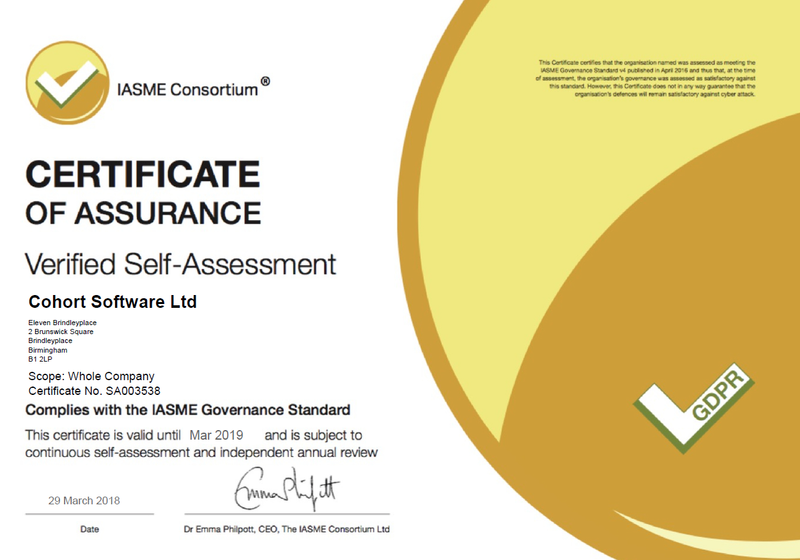 The IASME Governance standard, is based on international best practice, is risk-based and includes aspects such as physical security, staff awareness, and data backup. The IASME GDPR certification includes GDPR assessment elements. Achieving this certification highlights Cohort Software’s commitment to implementing processes that fully satisfy compliance with GDPR regulations. The government launched its ‘10 Steps to Cyber Security’, which encourages organisations in the UK to address their cyber risks. The Cyber Essentials scheme covers the most common cyber- attacks such as hacking, phishing and password guessing. 1. 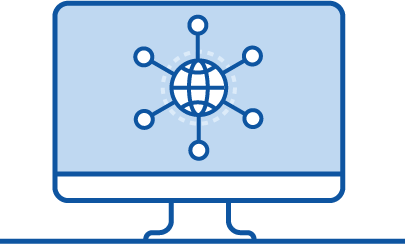 Boundary firewalls and internet gateways must be designed to prevent unauthorised access to or from private networks. 2. Secure configuration which ensures that systems are configured in the most secure way for the organisation. 3. Access control to ensure only those users who should have access to the system to have access at the right level. 4. Ensuring virus and malware protection is installed and up to date. 5. Installing the latest version of the application and ensuring all patches have been applied. Implementing cyber-security initiatives has the advantage of driving business efficiency, saving money and improving productivity. 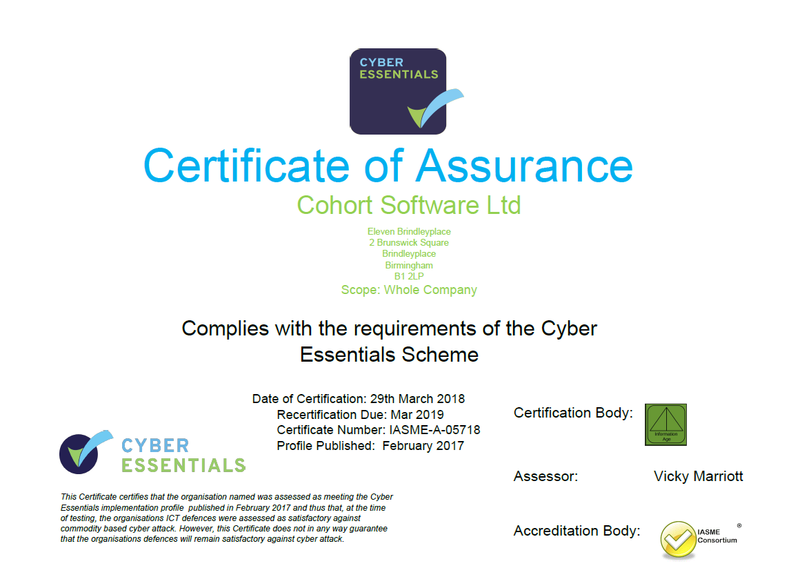 Achieving the Cyber Essentials certification has helped Cohort Software to address other compliance requirements such as GDPR. It shows commitment to cyber security. It is a mandatory requirement for government suppliers and for all public service contracts. It enables Cohort Software to safeguard commercially sensitive data. Protects profits and business reputation by avoiding the financial implications of any negative publicity associated with a cyber-attack. “We have always recognised the importance of data security, which is a cornerstone of the business. 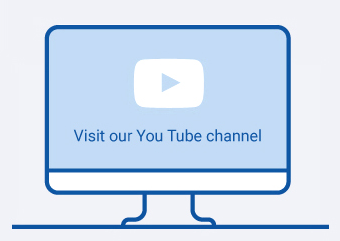 Not only is Cohort Software certified to the globally recognised ISO27001:2013 standard, we are also proud to be “GDPR READY” and hold Cyber Essentials & IASME with GDPR certification. 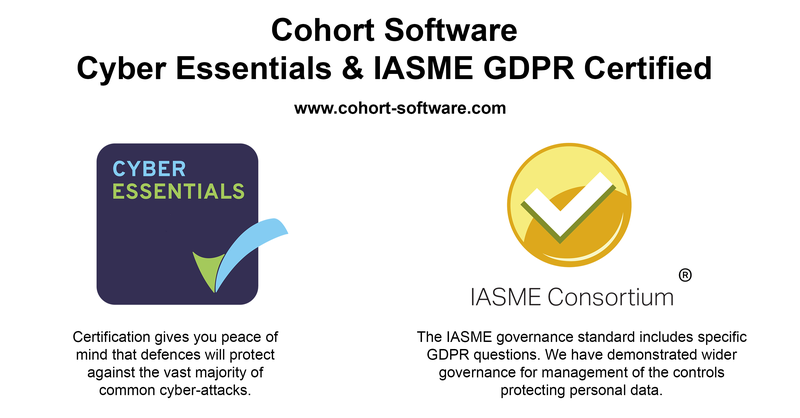 Cohort Software have successfully achieved the Cyber Essentials and IASME GDPR certifications.